Since 1907, industrial operations of all types and sizes have turned to SEMCOR for their industrial product needs. We supply a wide range of fluid handling products for numerous applications. We maintain an in-depth local inventory at our 35,000-square-foot St. Louis, MO facility, enabling us to provide prompt, reliable service to companies throughout Missouri, Kentucky, Illinois, Indiana, Iowa and the entire Midwest. We can also provide complete fabrication services for any of our stock products. As a leading supplier of severe service valves, we can provide the right product for your needs. Severe service valves rank at the top of the control valve hierarchy in terms of performance. 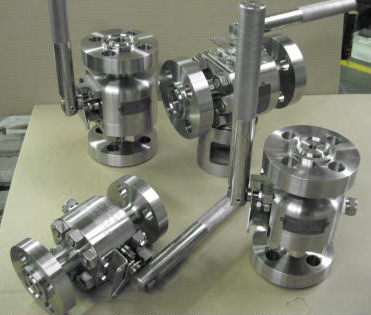 Situations where severe service valves offer the best fluid handling solution include use as water valves where a high potential for cavitation exists, as well as for steam valves in high-noise/high-vibration environments. Used in power plants, severe service valve applications can include vent valves, start-up and main feedwater regulation, auxiliary steam and turbine bypass systems. At SEMCOR, we make every effort to provide products of the highest quality to our customers. That’s why we only offer severe service valve products from manufacturers with a stellar reputation for delivering reliable products that can withstand the rigors of these heavy-duty applications. We’ve also worked hard to establish close relationships with each manufacturer so we can provide timely, dependable customer support whenever our customers need it. Key manufacturers we represent include ITT Engineered Valves (Cam-Tite) and AE Valves. You can learn more about our current severe service valve offering by viewing the individual product descriptions. You can also contact us to request additional product literature and make specific inquiries about any of our products.